If your family is anything like mine, there’s a ton of old photos tucked away in boxes, trunks, and bags in your attic, basement, garage, or rented storage unit. And there’s probably little to no organization. 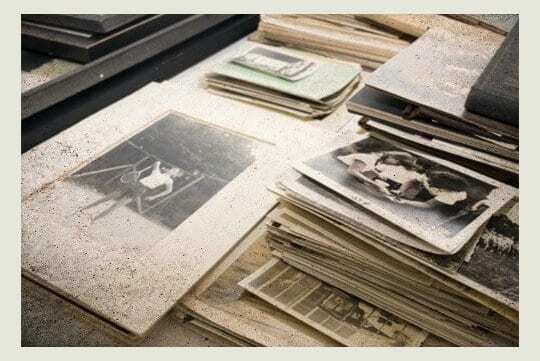 Since these were most likely all taken in the pre-digital days, the task of digitizing them is arduous and lengthy. 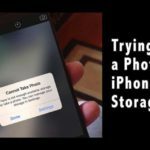 For those of us with Mac and iPhones, iPads, or some other iDevice, we’d like to get some of those old photos into our digital photo library for safe-keeping. And that’s where both our Photos app and scanning comes in. 1 Photos App and Scanners, Not a Great Pair! 2.2 Want Another Method to scan photos / images? 3 Scans are Imported, Now What? What to do if you can’t transfer photos from iPhone to your PC? How To Delete Selected Photos from All Apple Devices in One Shot! 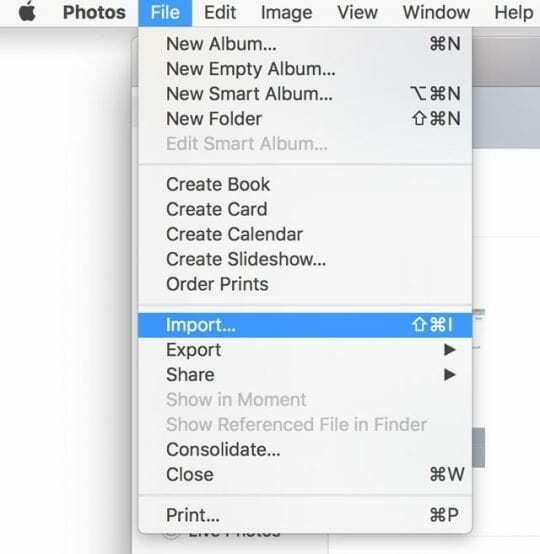 iPhoto or Photos App Not Recognizing iPhone or another iDevice? Photos App and Scanners, Not a Great Pair! Photos and the now obsolete iPhoto are part of the Apple suite of applications included with any Mac purchase. 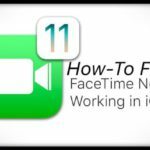 This combination of programs contains things like Garageband, iMovie, Messages, FaceTime, Photo Booth, and the productivity software package iWork. 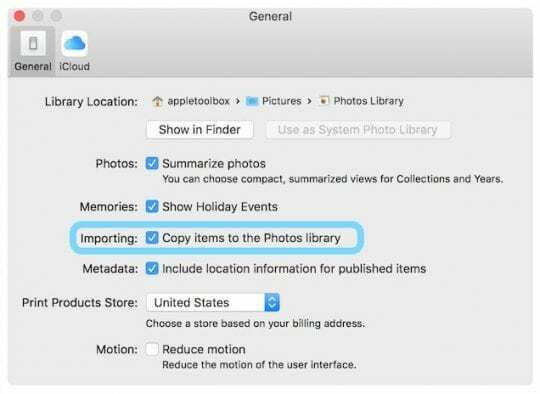 Although Photos (or the elder iPhoto) has many great features to organize and edit your complete photo library, scanning directly into Photos or iPhoto is not one of them. 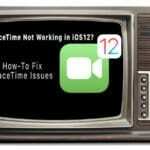 But as always with Macs, there are workarounds for that! Before we move on, check that your scanner is installed correctly. 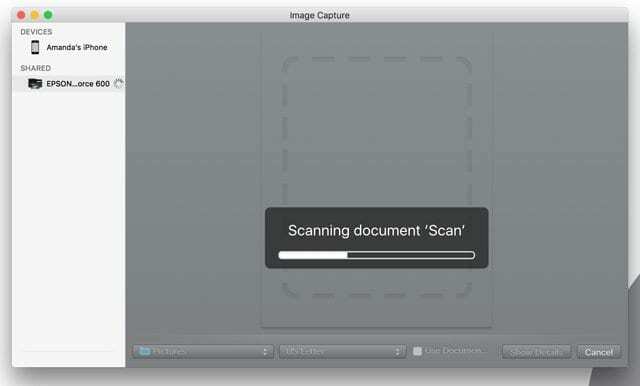 First, connect your scanner to your Mac and power up the scanner if not already on. Then open the application Image Capture from your main Applications folder. If your scanner appears in the left column, everything is ok. If your scanner does not appear, you must (re)install the driver that is specifically for your scanner. 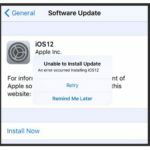 Check the manufacturer’s website for the drivers if your Mac is unable to locate them. Want Another Method to scan photos / images? Another way is to drag and drop the files onto the Photos directly. Find your picture(s) in Photos in the left column of Photos under the heading Last Import. Dragging and dropping follows whatever import preferences you set in your Photos App. So if you set your Photos Library to Copy when importing, moving your scans follows this same rule. Open Image Capture from your dock or the Applications folder. Scans are Imported, Now What? After your pictures are imported into Photos, take advantage of the helpful tools like the slideshow tool (Photos > File > Create Slideshow.) Or quickly create a slideshow by clicking the arrow in the upper-right corner. With Slideshow, you get to customize the theme and music. And adjust the settings for display time and transitions. The Photos editing tools are also great to enhance your images. You can resize, rotate and crop the photo. Other features are red-eye-reduction, aligning the horizontal position and improve the color balance of the picture. Just try and experiment with all the awesome Photo tools. Don’t be afraid, because you can always return to the original image! 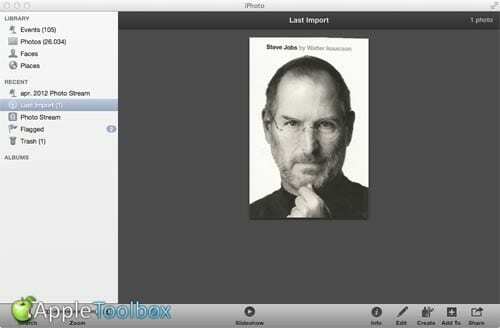 Another feature to take advantage of is iCloud Photo Library. This feature securely stores your entire photo collection so you can access it from anywhere, including all your devices and on iCloud.com. 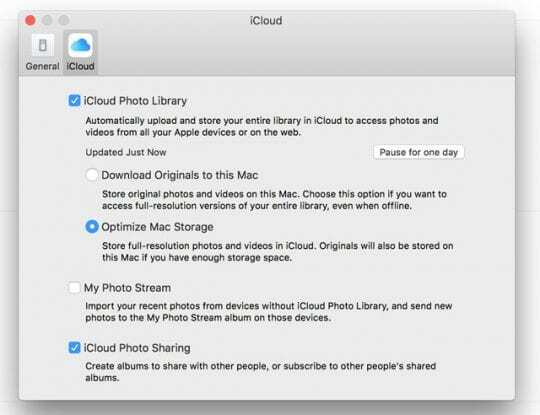 To turn on iCloud Photo Library, go to Photos > Preferences > and select the iCloud tab. Tick the box for iCloud Photo Library. The beauty of an iCloud photo library is that when you edit and organize images in the Photos app on any device, your changes are kept up to date and visible on all devices including icloud.com. Just make sure that you’re signed in with the same Apple ID on all of your devices. 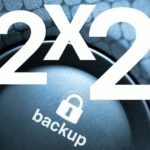 The only downside is that your photos count towards your total iCloud storage, so if you have the free 5GB plan, you may need to upgrade to a larger capacity plan to accommodate your photo library. Use the Share Button to send your photos to friends, family, and social media via Messages, Facebook, Twitter, iCloud Photo Sharing, Mail, and more. 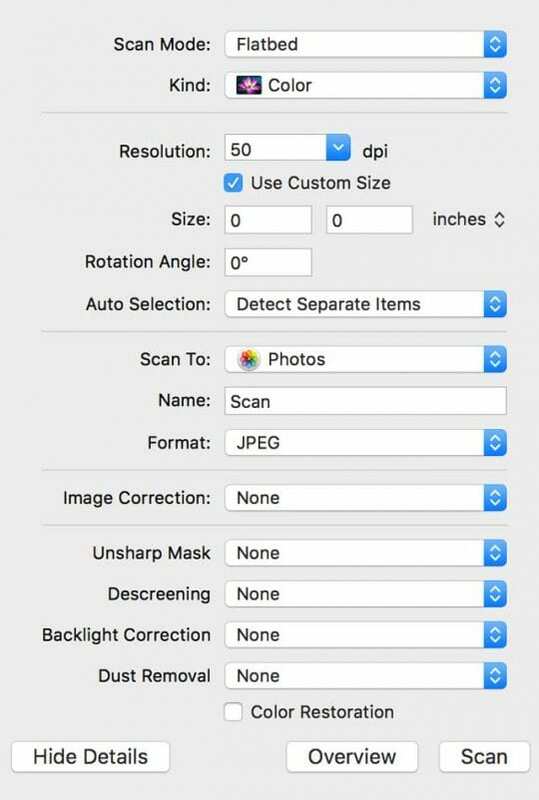 Using an iMac Os High Sierra and Image Capture, can I enlarge the image during the editing process prior to sharing it to an email in order to make it easier for the recipient to read? Rene, Yes you can change the image size in a few different ways on your iMac. Easiest will be to simply open the image using the ‘Preview’ app. once you have the image opened, Click on ‘Tools’ on the top menu followed by ‘Adjust Size..’ and change it there. Save it as a new image and you are good to go. One subtlety about trying to use Image Capture with PHOTOS is that it only works if the PHOTOS file you are using is the “System Photo Library”. it took me a long time to find this out. I keep two PHOTOS files: one for images from current digital cameras (my System Photo Library), and one for all my old scanned images. I had endless trouble trying to scan into the latter. 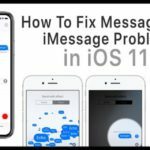 How do I delete photos from iCloud and if I delete them there are they deleted from my laptops and iPhone ? 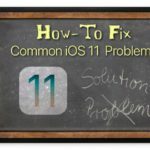 You can delete photos from iCloud using any of your devices or computers that use the same Apple ID. Or you can visit the iCloud website and delete photos from there. 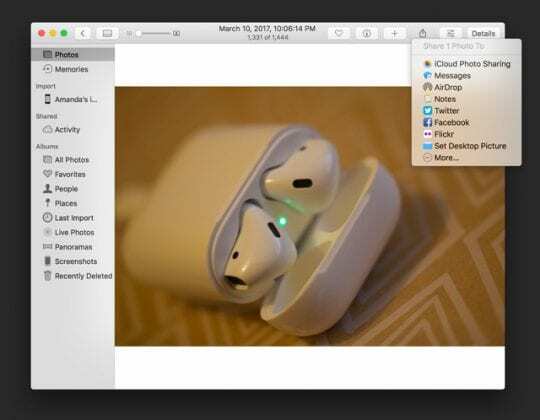 However, when you delete a photo or video from Photos in iOS or macOS AND you have enabled iCloud Photo Library on those devices, it deletes those photos everywhere, even when you have full-resolution downloads turned on in the Photos App. did you copy them or use Photos to import them? if you import and the Preferences item in the general tab says to copy to library, you should still be able to see them even after deleting from desktop. It’s a matter of choice. I usually import my scans or scan directly into Photos. And yes, you are correct moving a scan into the Photos App follows whatever import rules you set-up in your Photos Preferences. 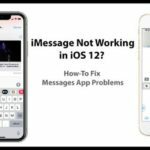 Apple would be wise to remove the option to scan to Photos app if it is no longer working. Or maybe, fix it… ? What macOS or OS X version are you running? I did a test with macOS Sierra 10.12.6 and Image Capture did scan directly into Photos. Provide me your specs and we’ll look into this problem. that’s all fine, but if I delete the images from my desktop, then iPhoto will no longer let me view those images in the iPhoto folder I copied them to.